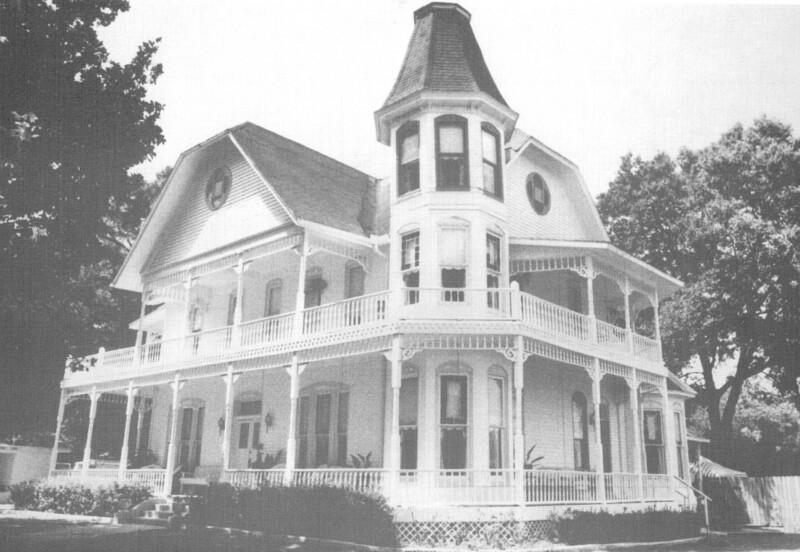 James T. Sherman of Brodhead, Wisconsin, was the original owner of the home that is now known as Sunbright Manor. Construction started on the house about 1886, and it was finished around 1890. Sherman, who was a successful merchant, used the house as the winter residence for his family. Mr. and Mrs. Charles J. Sherman will leave the first of next week for DeFunlae Springs, Florida to attend the Golden Wedding Anniversary of their parents, Mr. and Mrs. J.T. Sherman which occurs Feb. 9. The exterior of the house has a tower and multiple porches, which are supported by 33 columns and 1,600 spindles. There are four fireplaces throughout the house. In 1924, the house became the first in Walton County to have indoor bathrooms. 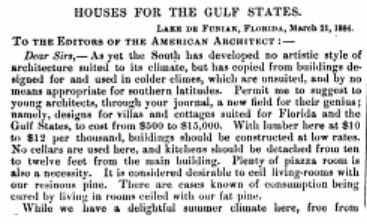 That same year, the house was purchased by former Florida Governor Sidney Johnston Catts, who lived there until his death in 1936. W. C. Eddy died last Saturday, February 27, 1926. He was born in Lancaster, Wisconsin, 73 years ago, and came to DeFuniak in 1884. He taught school for a while after coming to DeFuniak which was merely a settlement in the woods at that time. Being somewhat a carpenter, he helped to build our first Chautauqua Auditorium and also painted it. Later he engaged in the mercantile business and was postmaster at DeFuniak Springs, for a number of years — (Jan. 30, 1889 to March 28, 1889) and (Feb. 2, 1905 to May 6, 1913). He is survived by two sisters, both of whom live in the North. Mr. Eddy was never married. He was in good circumstances, and through his last long illness, he was looked after by Mr. Dee Work of this city. Note by Jeanette Anderson McDonald: The 2 story house on Bay Ave. (106) was originally owned by Prof W. C. Eddy who had the first school in DeFuniak located on East Main St. House owned by Mrs. Alma Kirkland (1996).